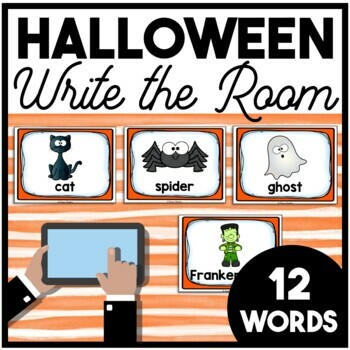 Your primary students will love searching for these adorable Halloweeen words throughout the classroom. Just print, cut and hide for instant fun and learning! 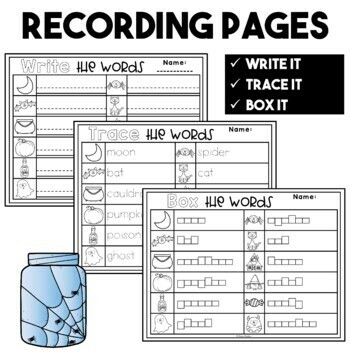 Differentiation has never been easier with three recording options - write, trace, or box the word. 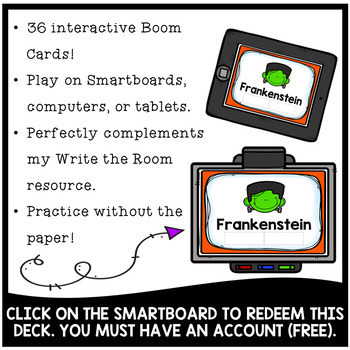 NEW: I've updated this product to include access to a full set of digital task cards. Students first read and type the word. Next, they select the correct word from four possible answers. Lastly, they type the word without text support (answers are case sensitive). Click HERE to view all of my WRITE THE ROOM sets and bundles.